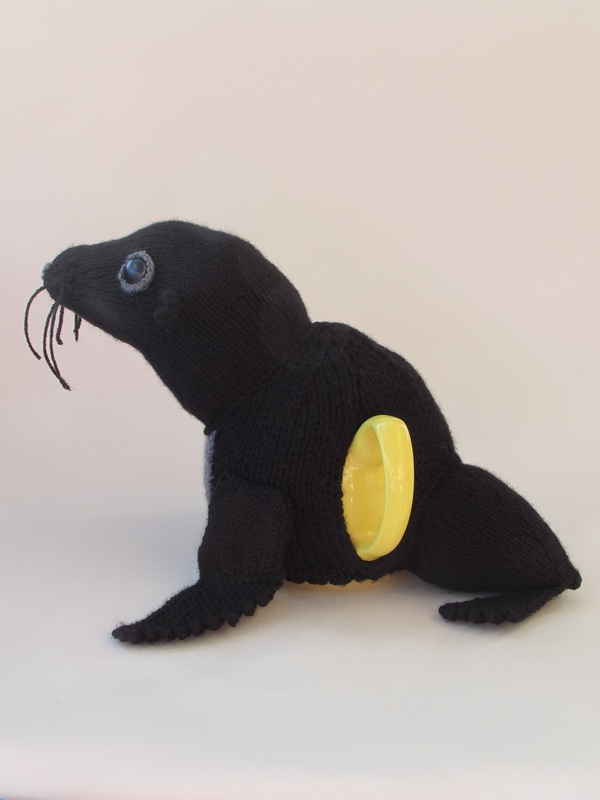 Sea lions are such cute and playful creatures, how could anyone not find them delightful? 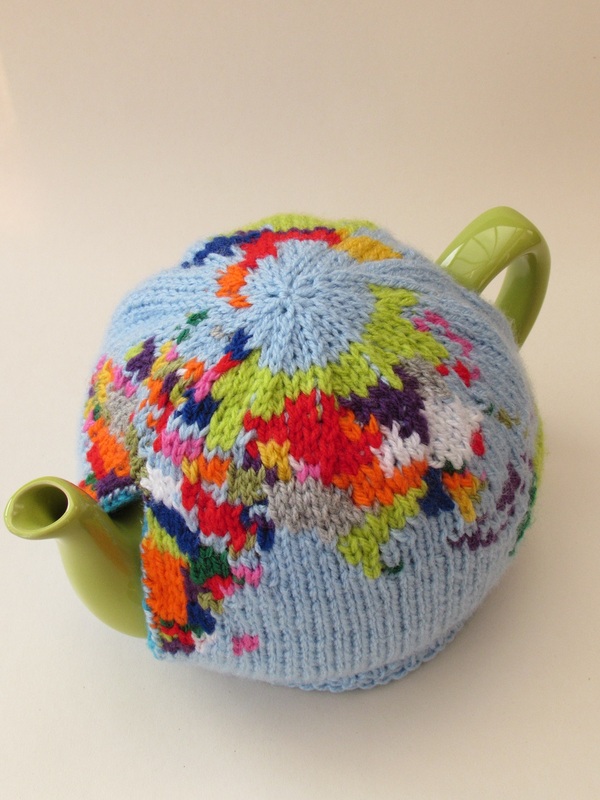 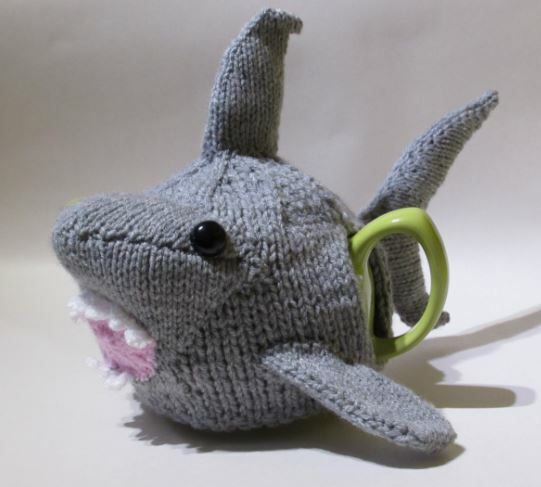 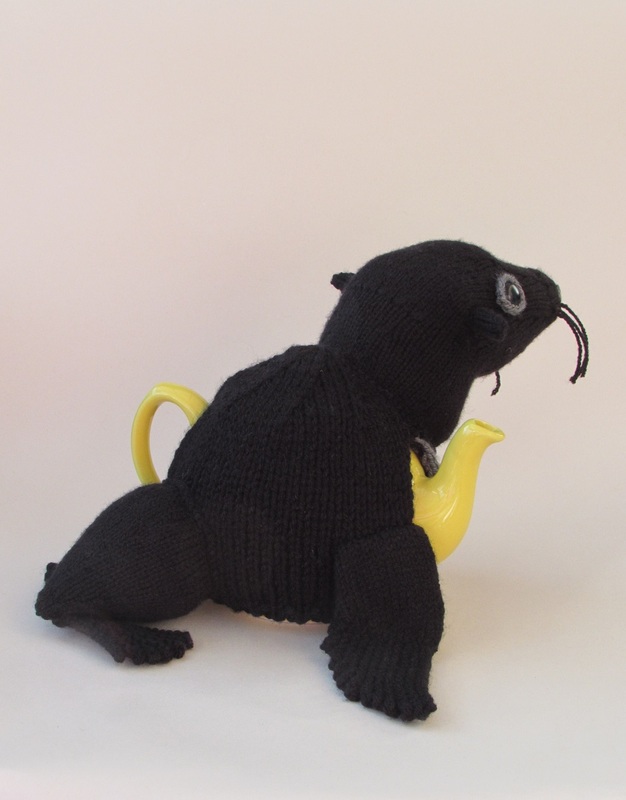 After visiting a zoo and saw the playful seal lions barking, jumping and waving for fish I found inspiration for this fun tea cosy. 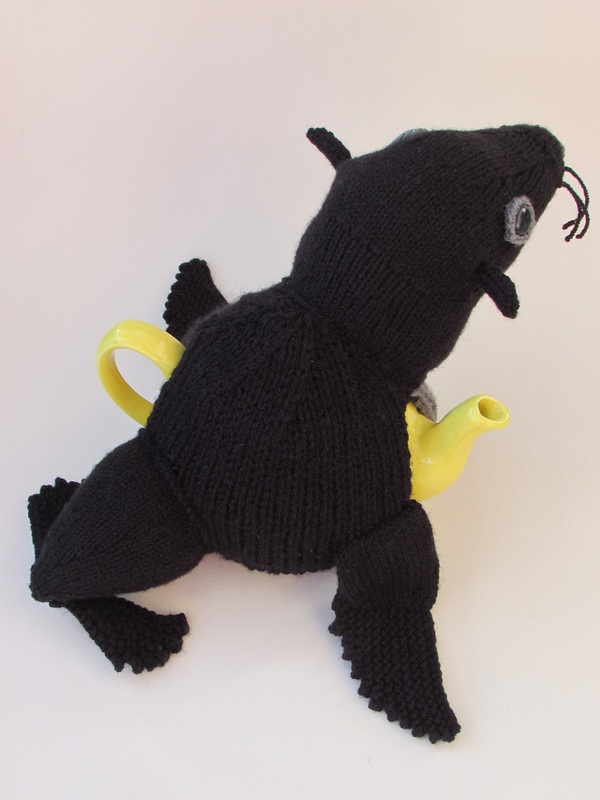 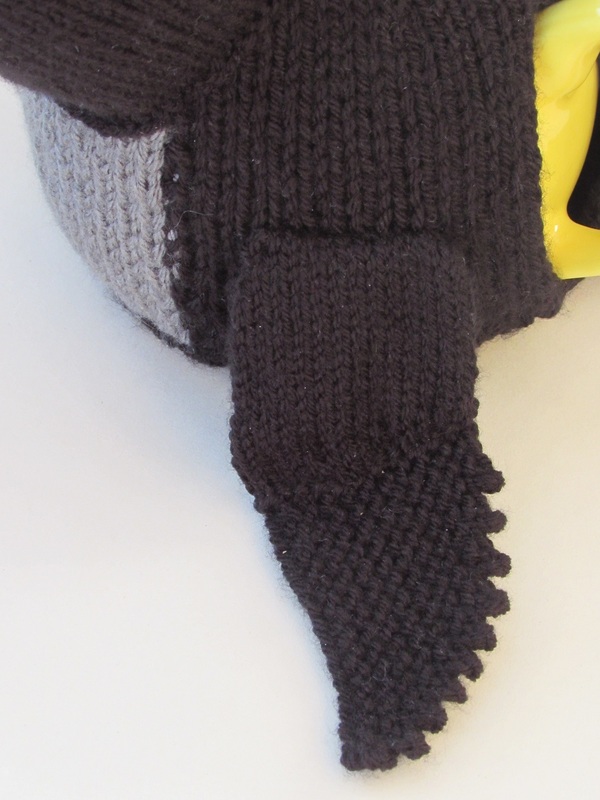 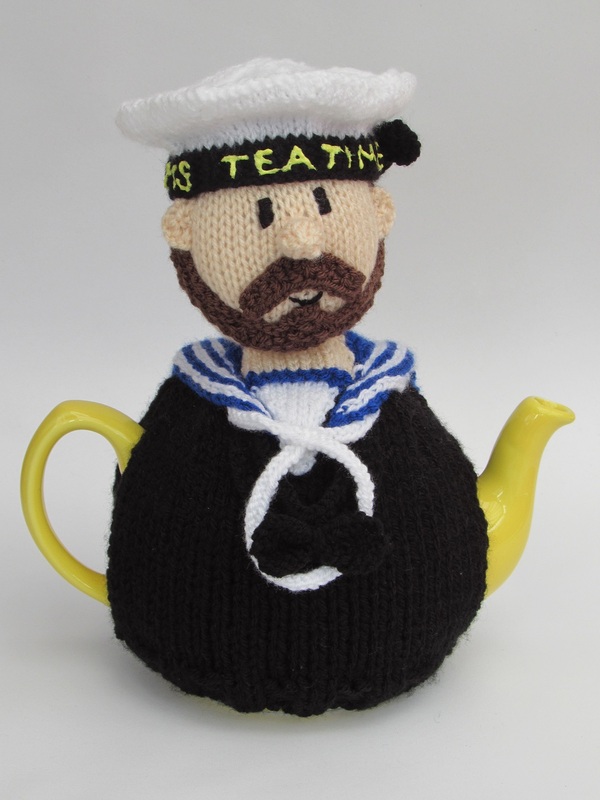 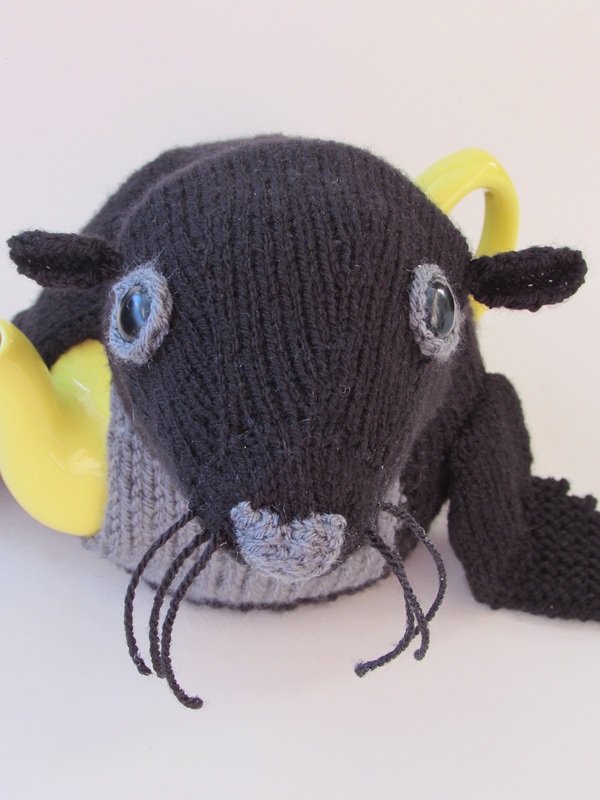 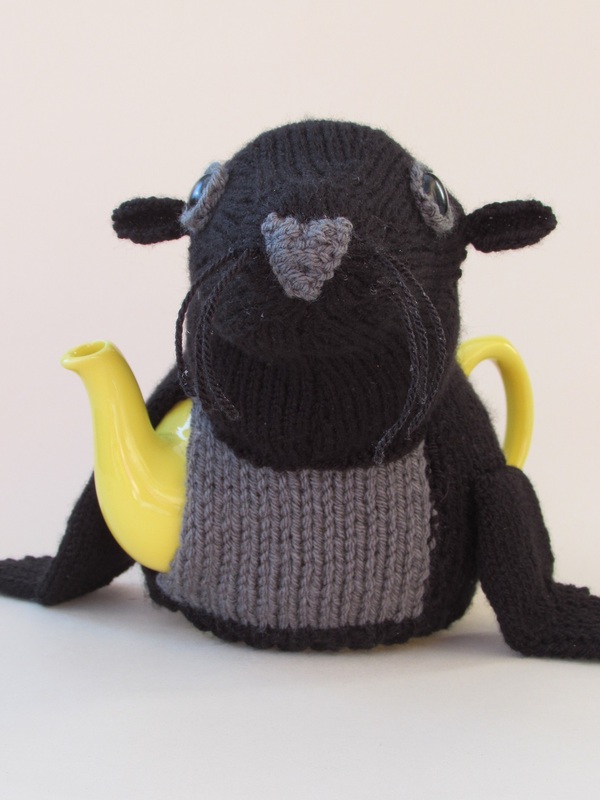 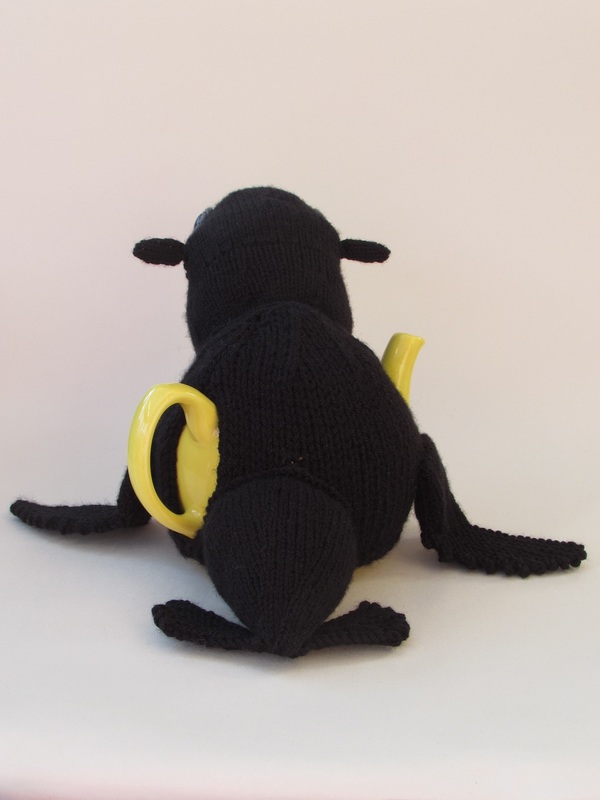 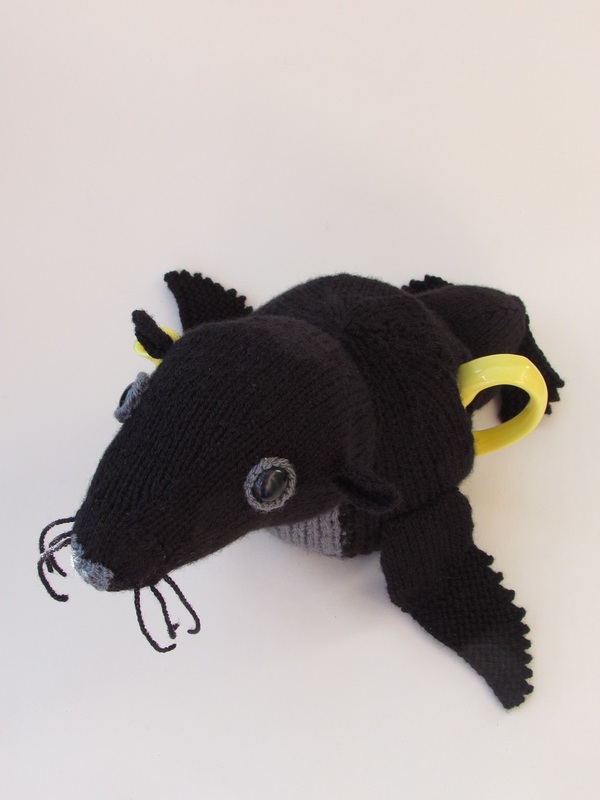 The sea lion tea cosy is knitted in just two colours; black and graphite. 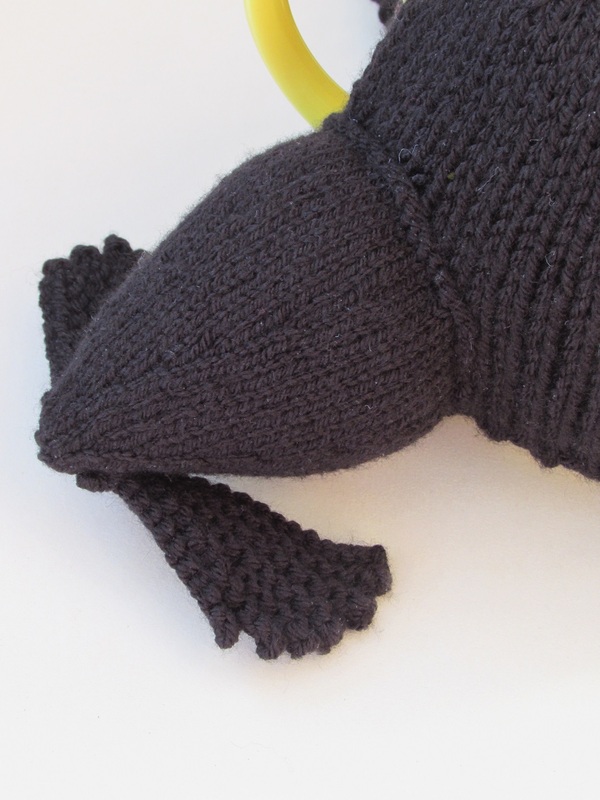 The sea lion is leaning up on his front flippers. 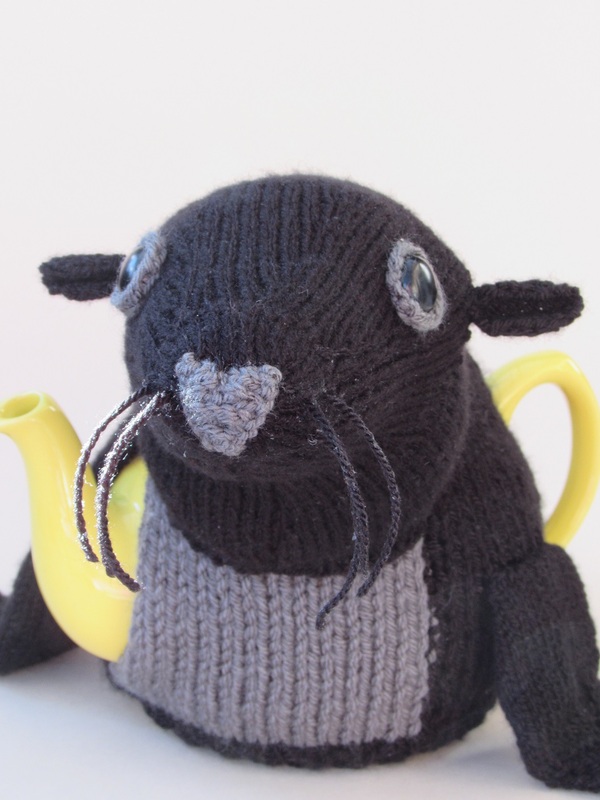 His little ears and big whiskers make him look very cute. 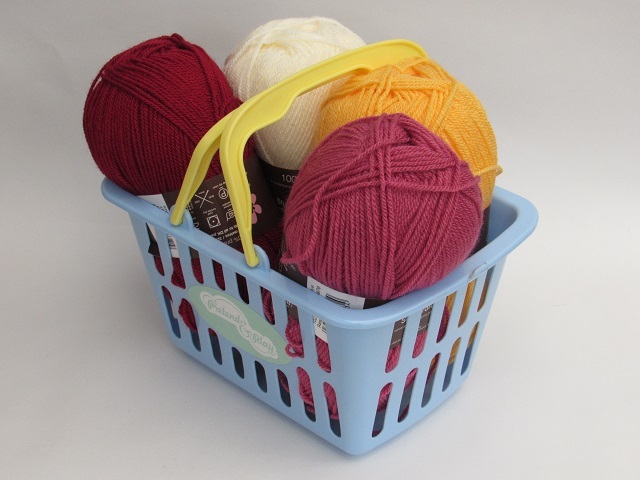 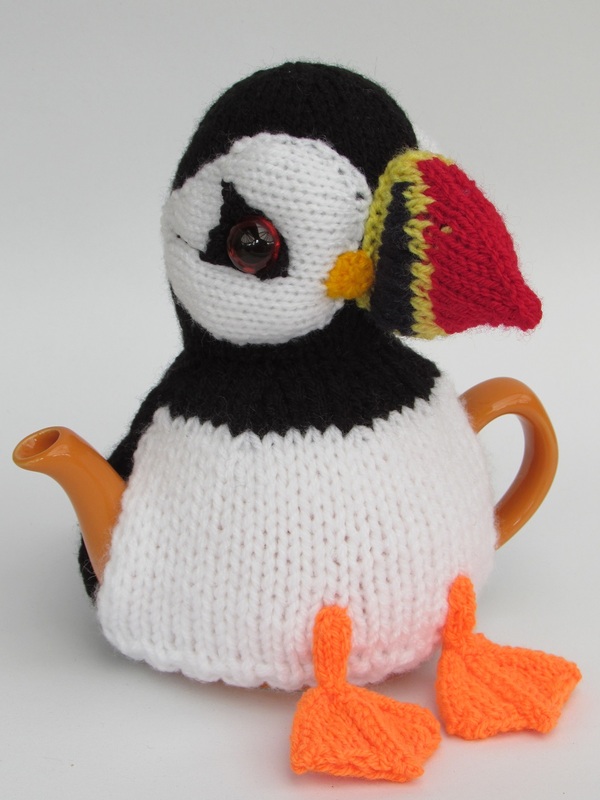 He's easy to knit, but you will need to knit from a knitting chart and be able to change colours, but he does knit up quickly. 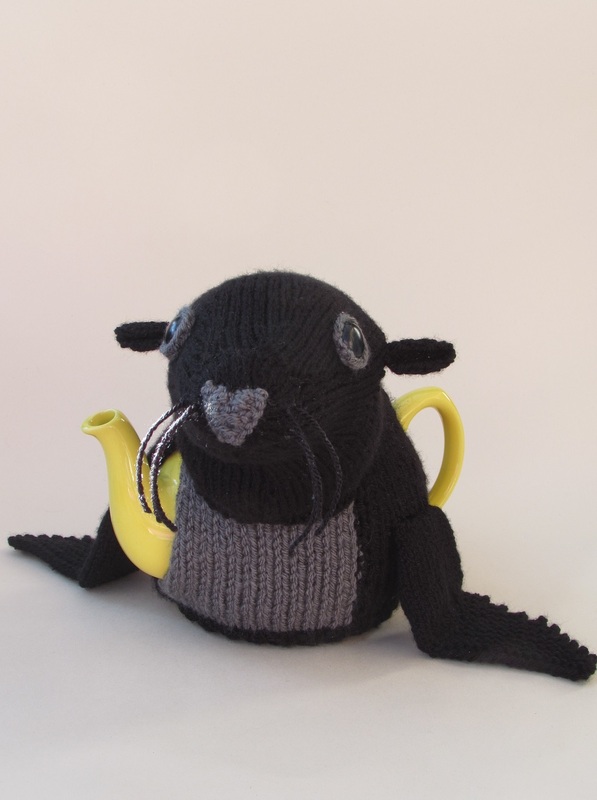 Beautiful and unusual sea lion tea cosy to insulate your teapot.